Last month, the New York state legislature and Governor Andrew Cuomo approved legislation requiring registered nurses to attain a bachelor’s degree or higher in nursing within ten years of their initial licensure. The legislation exempts registered nurses already licensed in New York as well as students already enrolled in or admitted to a nursing degree program in New York from the baccalaureate degree requirement and also won’t take effect until May 2020 (thirty months after the legislation became law). New York’s adoption of a “BSN in 10” requirement is significant because it will affect a huge number of registered nurses. New York currently has 323,175 active RN licenses which is about 6.74% of the total of active RN licenses in the U.S. It will also affect many travel nurses who want to accept assignments in New York as nurses not yet licensed in New York won’t be exempt. 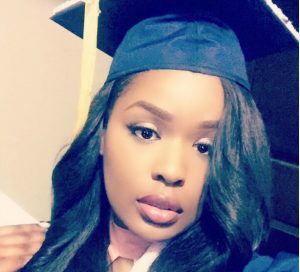 Kassancia Pierre, the first winner of a NurseRecruiter.com Scholarship award. As the demand for highly skilled nurses increases and healthcare becomes ever more complex, we can expect more and more states to begin requiring nurses to have more advanced education and training. Healthcare employers also increasingly prefer that registered nurses have at least a BSN. Many nursing schools around the country offer RN to BSN programs that make it relatively easy for registered nurses to obtain a BSN in under a year in some cases. Many employers also offer education benefits to cover all or some of the costs and of course, there is also the NurseRecruiter.com Scholarship program. The push to increase education and training requirements for registered nurses has a long history. Until the mid-19th century, most nurse education and training was relatively informal and provided on the job. This began to change in July 1860 when Florence Nightingale founded the Nightingale Home and Training School for Nurses at St Thomas’s Hospital in London. Nightingale is widely regarded as the founder of modern nursing and throughout the latter half of the 19th century, hospitals in the United States and around the world began to establish nursing schools and training programs based on her principles. By the early 20th century, there were nearly 1200 nursing schools and nurse training programs in the U.S. but all of them were hospital based and none of them offered a baccalaureate degree program. That changed in 1909 when the University of Minnesota School for Nurses opened as the first university based nursing school and in 1919 when it established the first Bachelor of Science in Nursing (BSN) degree program. This marked the beginning of a shift towards university based nursing schools and the development of more advanced nursing education programs. However, as the United States began facing a critical shortage of nurses, exacerbated by an urgent need for nurses as the U.S. entered World War II, it quickly became apparent that BSN programs could not produce nurses fast enough to meet the demand. In her 1950 doctoral dissertation, “The Education of Nursing Technicians,” Mildred Montag proposed the development of a two-year associate’s degree in nursing program (ADN) as a temporary solution to the nursing shortage. Montag’s work led to the establishment of ADN programs around the country but, despite her proposal that these programs be used as a temporary solution to alleviate the nursing shortage by quickly providing a supply of “nurse technicians” to assist registered nurses with baccalaureate degrees, they soon became relatively permanent and established as another path (in addition to three year nursing school diploma programs and four year BSN programs) to becoming an RN. In 1963, the U.S. Surgeon General’s Consultant Group on Nursing issued a preliminary report that belatedly recognized the reality of the nursing shortage and warned that it was soon going to get much worse. The report eventually prompted the U.S. Congress to pass the Nurse Training Act of 1964 that significantly increased federal funding for nurse education. In June 1964, the American Nurses Association (ANA) House of Delegates adopted a motion recommending that the ANA “continue to work toward baccalaureate education as the educational foundation for professional nursing practice” and in 1965, the ANA published a position paper stating that the “minimum preparation for beginning professional nursing practice at the present time should be baccalaureate degree education in nursing.” In addition to the recommendation that nurses be required to have a baccalaureate degree to become licensed as RNs, the 1965 ANA position paper also proposed that nurses with ADN degrees have a new license and title designating them as Registered Associate Nurses (RAN) and that hospital based diploma programs and practical nurse education programs be eliminated. In 1987, North Dakota began requiring a BSN degree for RN licenses but the requirement was repealed in 2003 to help alleviate the nursing shortage. In December 2003, the New York State Board for Nursing unanimously passed a motion recommending that a statutory change be sought requiring future licensed registered professional nurses to attain a baccalaureate degree in nursing ten years after initial licensure in order to continue to practice in New York. Fourteen years later, the New York State legislature finally passed the “BSN in 10” legislation. What do you think about the “BSN in 10” requirement? If you don’t yet have a BSN, are you planning to get one? Let us know! I graduated from a BSN program back in the day when “hands on” clinical skills was a primary focus. We spent 24-30 hours a week for 2 + years at the bedside caring for patients. Current BSN programs seem to have lost that bedside care focus. My orientation was a week of finding where things were kept & finding the cafeteria. Now new BSN grads need a year “internship” learning the hands on skills (not just tasks but assessment skills, critical thinking, problem solving) they did not get in school. ADN grads seem better prepared to step into the bedside nurse role more quickly. They may not be able to name all the bones in the hand but they know what to do to help a patient whose hand is swollen and sore from an infiltrated IV. Maybe there are better BSN programs out there than the ones I have seen in Nevada and Tennessee, but I’ve not been impressed with the products they turn out over the past 10 years.